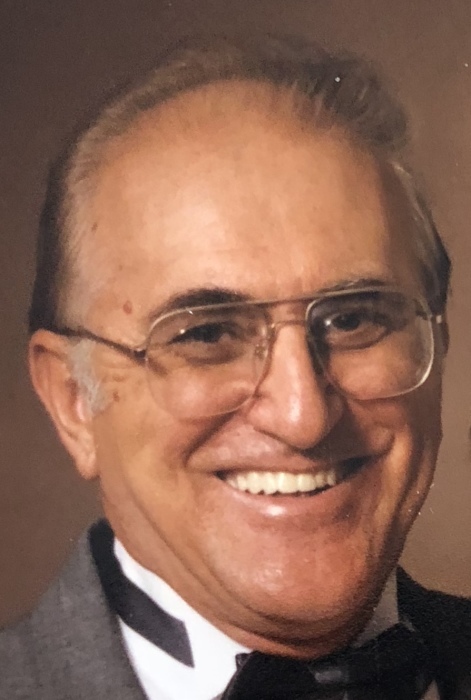 On December 6, 2018 Richard Bernard Oursler Sr., passed away at age 86. A proud Navy Veteran of the Korean War, Mr. Oursler was stationed in Norfolk and served on the USS Bordelon DDR881. After the war he worked 40 years for CSX Railroad as Market Director, and served 20 years as National Chairman of USS Bordelon Reunions. He was married 59 years to his beloved wife the late Elizabeth Oursler, and every year they would spend a month in Disney World, playing golf and visiting the theme parks. They loved when family members would join them there! Mr. Oursler was also the devoted father of Richard Jr., Michael and John Oursler and Kathy Miller; loving grandfather of John Jr., Kristin, Gina, Megan and Andrew; dear great grandfather of Lillian and Jackson; and brother of Janet Ruff and the late Elizabeth Hoover and Mary Leighton. Friends may visit Gonce Funeral Service P.A., 4001 Ritchie Highway, Monday 3 to 5 and 7 to 9pm. Funeral Service Tuesday at 11am. Interment in Crestlawn Memorial Gardens.